Much of the time, life can be super crazy. Whether you’re a working or stay at home parent, you always feel pressed for time. I love quick and easy meals that allow me to spend as much time with my son as possible. My favorite sources for quick and easy recipes are Skinny Taste and my grandmother’s recipe box. This Honey Butter Chicken recipe is one of my favorites from grandma and I can’t wait to share it with you. This recipe really fits the bill when you are pressed for time. And even better, it is amazingly delicious with only 6 ingredients. 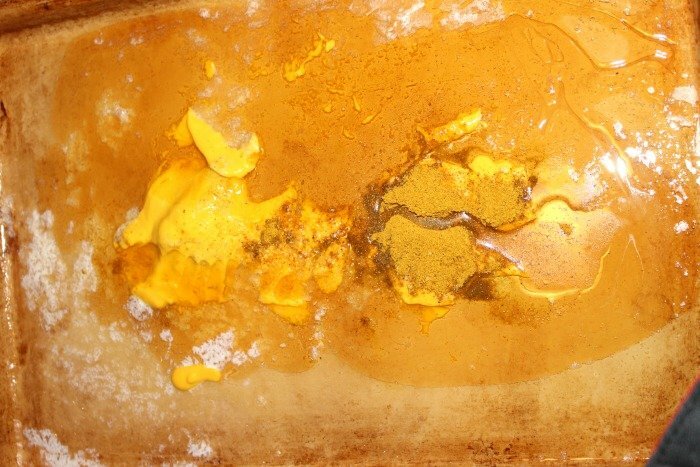 Add melted butter, honey, mustard, salt and curry powder to a shallow baking pan. Use the silicone spatula to stir until combined. 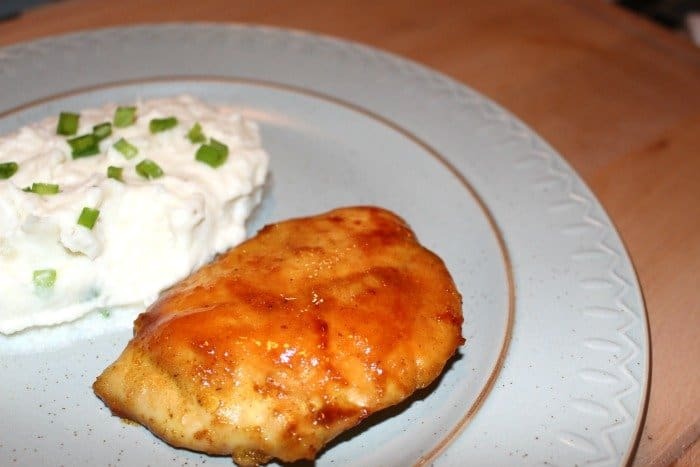 Bake in a single layer for 45-60 minutes or until chicken in thoroughly cooked throughout. 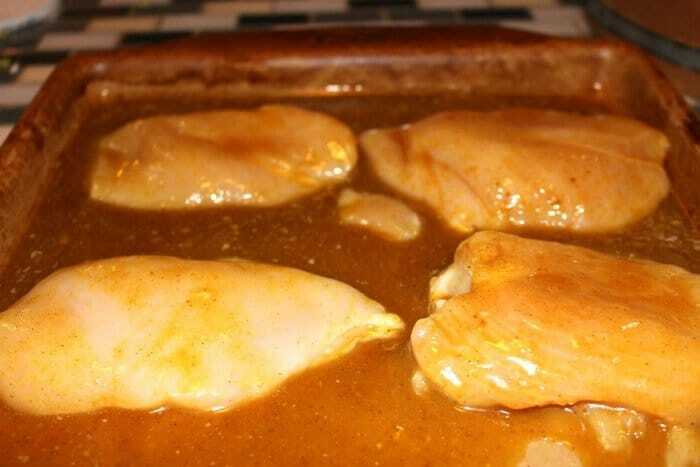 While baking, occasionally spoon the sauce over the chicken to keep it moist. Don’t forget to check out our other great recipes. Wow! such a wonderful recipe. I will try to make this. Thanks for sharing. Definitely try it! It is really yummy!